Starting in 2018, the “flexible” start times from previous years are no longer. Please see below for start times for the 24, 12, and 6 hour categories. Results from the three categories will be sorted first by number of laps and secondarily by total elapsed time. Only full laps (to the summit and back) will be counted. Live timing will exist in 2019 via OpenSplitTime.org. See the home page for the link, which will be live on the day of the race. The only cutoff time is leaving Church Fork Aid Station for a final lap at 4:30AM Sunday. This is applicable to the 24 event. All runners need to notify the Aid Station captain upon finishing their final lap in the allotted time. If a runners chooses to stop early, they also need to let the aid station captain that they are done. From this point they are on their own and may choose to hang around the aid station to cheer on other runners or take the next shuttle back to their car. We will have a well-equipped, warm, and fun aid station in the Church Fork picnic area (group site). Food, water, music, encouragement, is what you’ll find here. 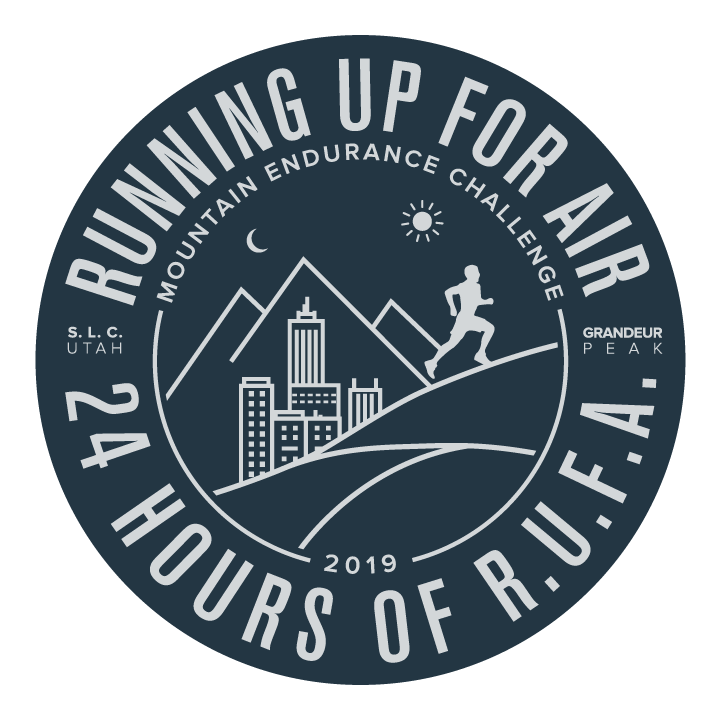 You are strongly encouraged to bring all necessary gear to support you throughout the event to this aid-station where it will be stored in a covered tent and accessed as you require it. Food and drinks are intended to support race participants only. Water & sports drink, PB&J, oranges, bananas, nuts, candy, chips, grilled cheese, soup, vegan soup, chicken broth, hot chocolate, tea, coffee, coke, sprite, breakfast burritos (Sun AM). If you are a participant, support crew, spectator, etc. you are required to ride the shuttle to and from race head-quarters. Our permit strictly hinges on us all following the rules. Check-In for the 24 hr 6AM, 12 hr 7AM, and 6 hr 8AM events will take place at the church LDS church. When you arrive at Church Fork, please show your bib to the timing folks as proof that your rode the shuttle, are present and ready to run. Participants in the 3PM and 11PM events are also required to ride the shuttle, however, check-in will take place at the Church Fork headquarters. The shuttle will strictly follow the schedule below. Click image to open a .pdf of the schedule.